Plush cardigans, a deeply-discounted denim backpack, fleece joggers that look like my ideal Friday night, and more! All for under $50. 1. 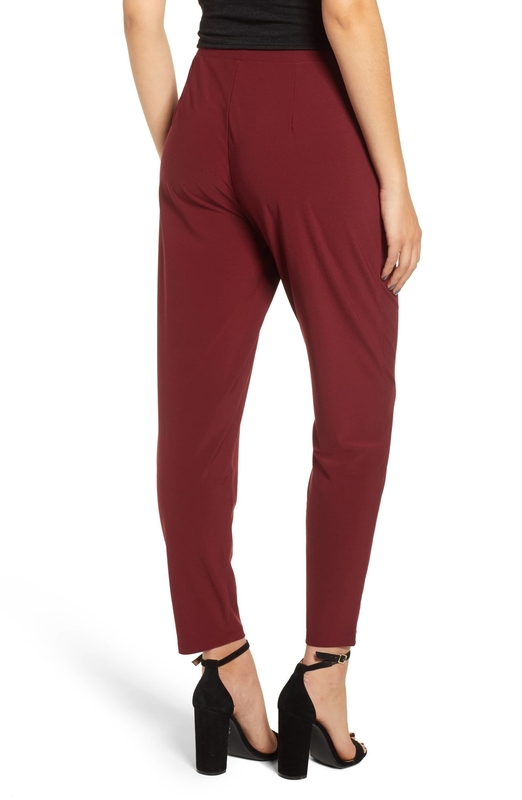 Fleece jogger pants that look like my new Friday night wardrobe. 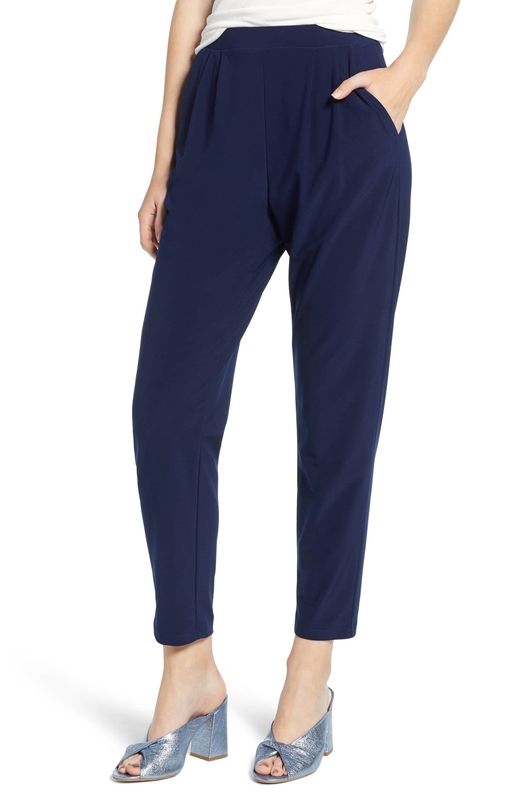 "Cheers to the freakin' weekend," I'll whisper whilst putting on these pants. 2. 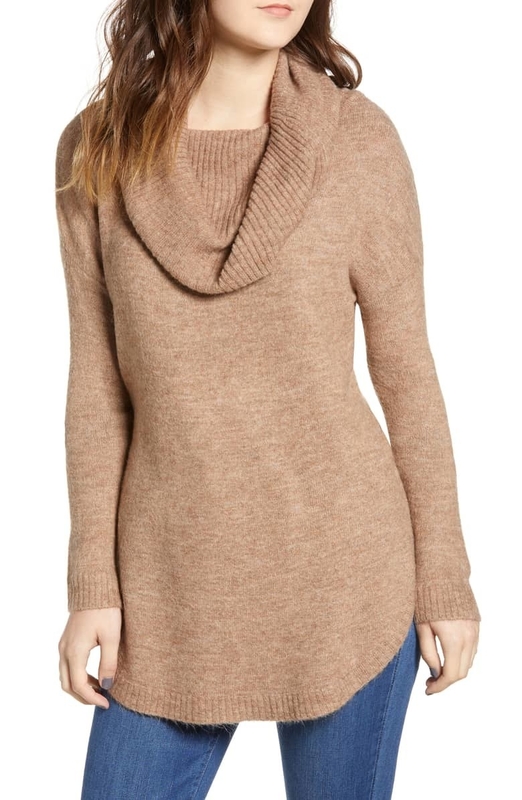 A cowl neck tunic sweater because winter is approaching, the cold has arrived, and the time for cozy apparel is upon us. 3. A bouclé knit scarf that will give your cold weather accessories game a major upgrade. 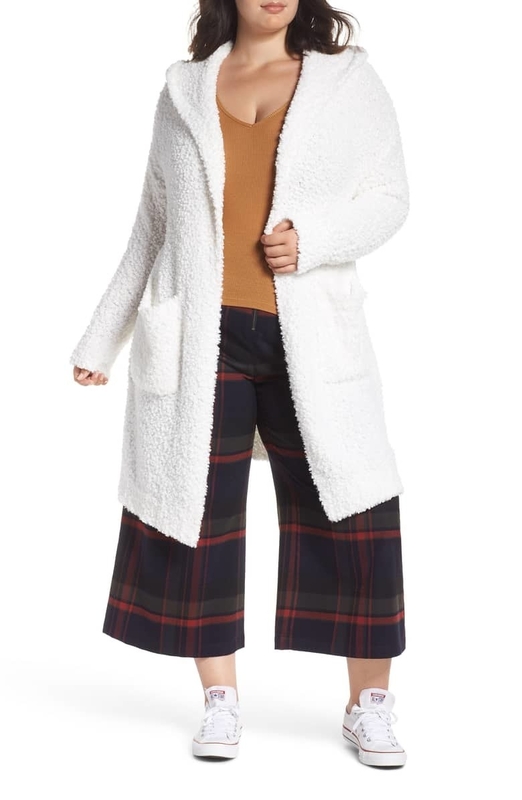 Warm + stylish? 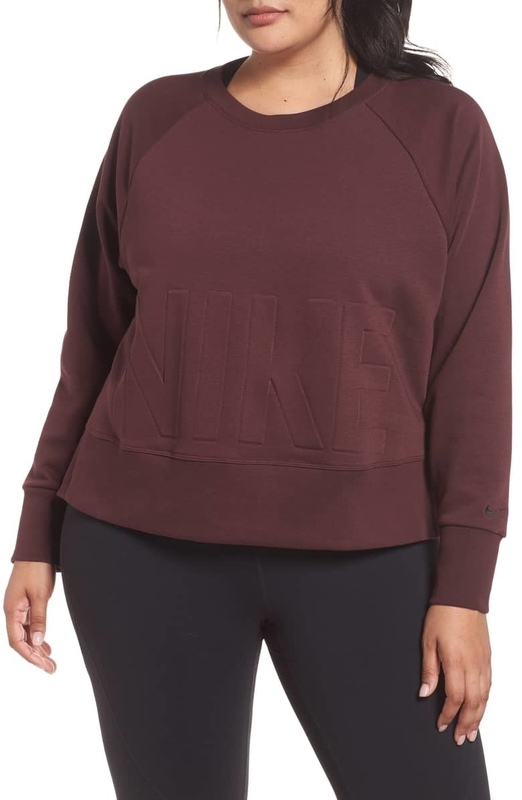 Consider this already in my cart. 4. 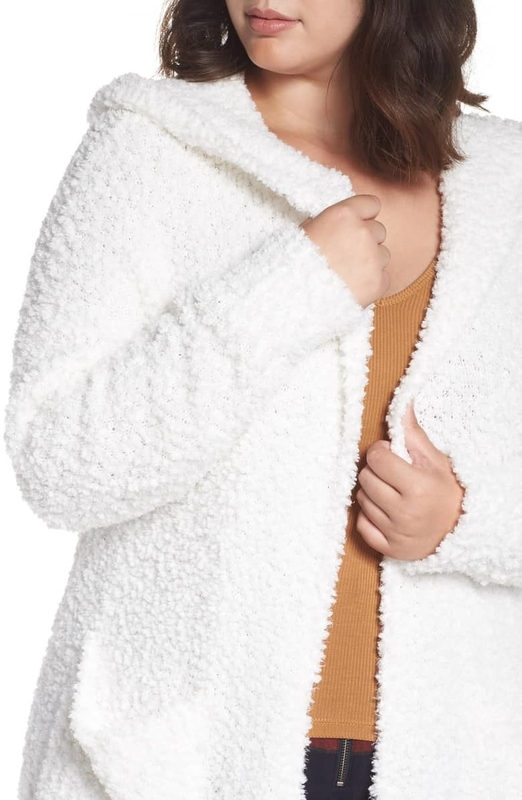 A plush hooded cardigan to make you feel as if you're being enveloped by a warm (and not dangerous) polar bear hug. This sweater = the embodiment of coziness. 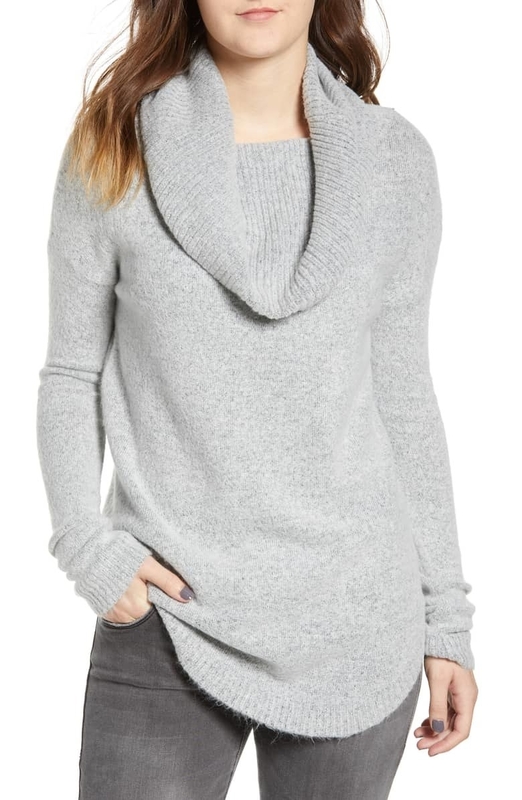 Price: $41.40 (originally $69, available in sizes XS-4X). 5. A two-compartment denim backpack perfect for students and I-have-take-the-MTA-every-day-hahahaha commuters. Great quality, great price! 6. 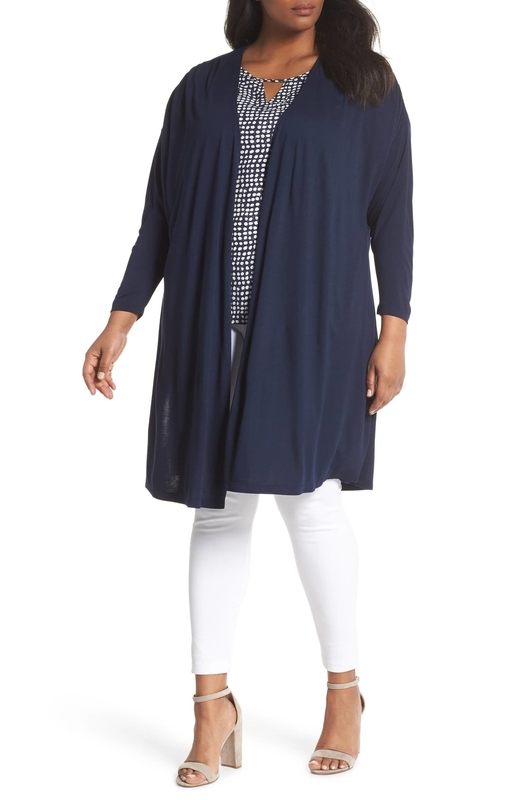 A lightweight open front cardigan you can layer over any darn outfit. PRO TIP: Buy an extra one. Keep it in your freezing cold office. You can thank me later. 7. A colorblock cable-knit sweater that will make any indecisive person breathe an audible sigh of relief. Choosing just *one* color? No longer a problem. 8. 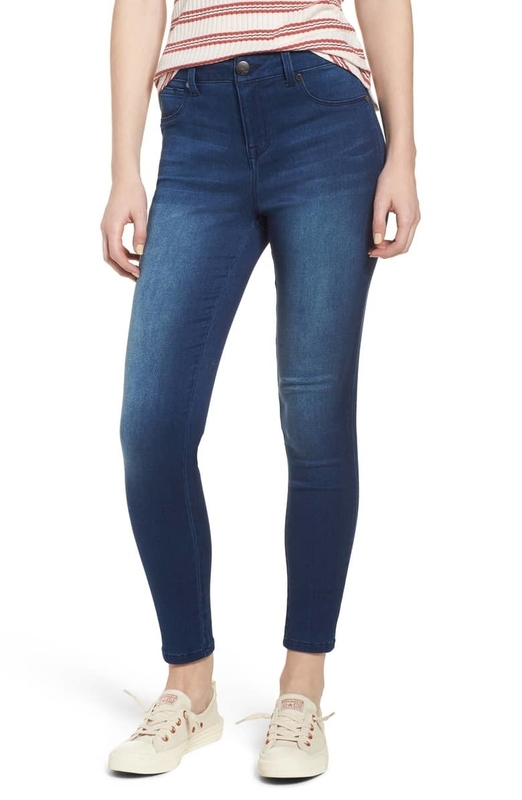 Basic skinny jeans you'll want to purchase along with some bread. This stretchy, comfy denim? It's smoother than butter. 9. An oversized striped tee that can be worn with your favorite denim, some red lipstick, and BAM! You're rocking the Pinterest version of Paris street style. Price: $15.20 (originally $19, available in sizes XXS-XL and in five colors). 10. 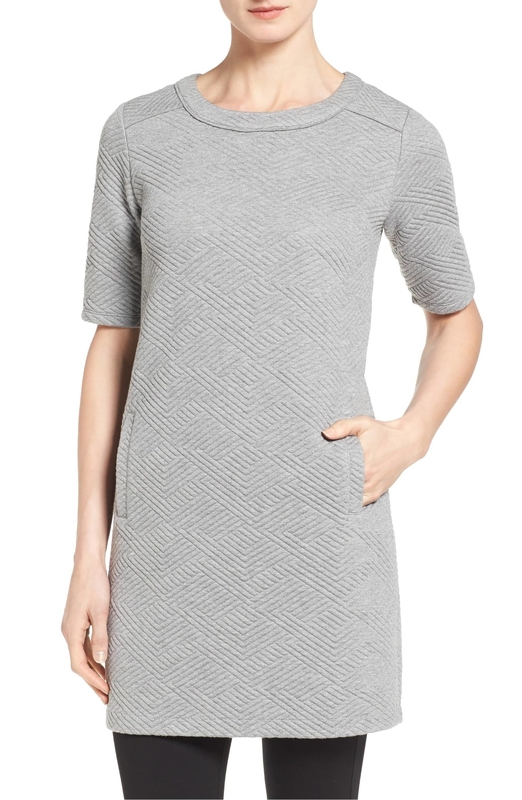 A textured tunic dress you can wear with heels and a clutch or leggings and those dirty sneakers you might want to throw in the wash. This thing provides VERSATILITY, dear readers. 11. Pointy toe ballet flats that can be worn with jeans, leggings, mini skirts, maxi skirts, culottes that would look terrible on me personally, etc. 12. 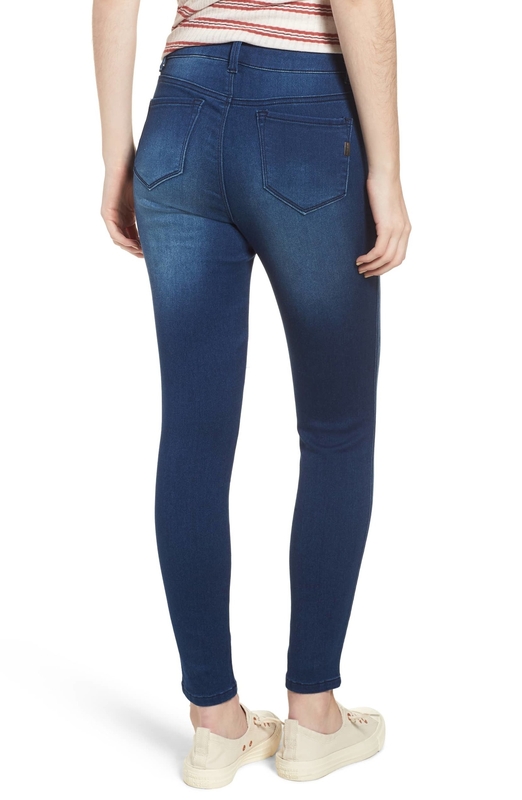 High-rise denim leggings capable of helping you look super put together. The secret only *you* will know? These are just as comfy as they are cute. 13. A leather passport cover that would be the perfect gift for the friend most likely to use the #wanderlust hashtag on Instagram. 14. Pleat front trousers to give your denim a damn BREAK. Your skinny jeans deserve that PTO! Let them enjoy themselves! 15. A metal top handle shoulder bag that has "sleek" written all over it in invisible marker. Just use some lemon to make the writing show. 16. 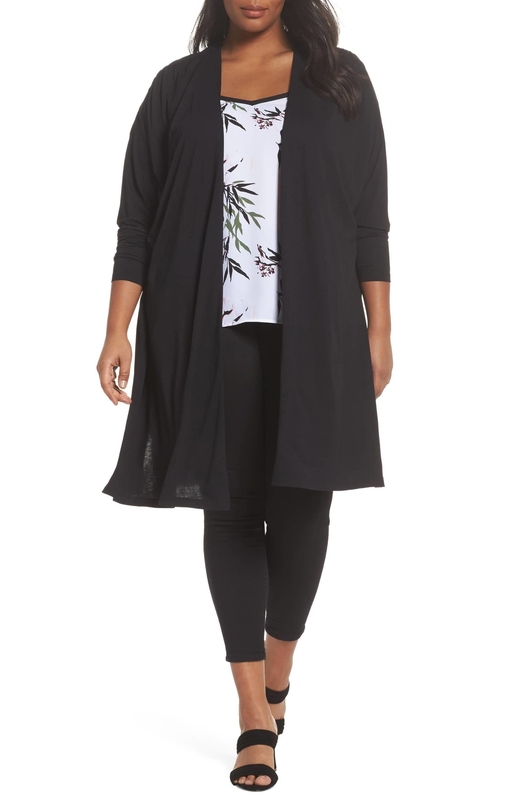 A lightweight open-front cardigan sure to become a vital part of your daily uniform. Wearing anything other than this? NOT LIKELY, let me tell you. 17. A faux wrap midi skirt that will transition perfectly from your boring (no offense) cubicle to that much-needed happy hour after work. 19. 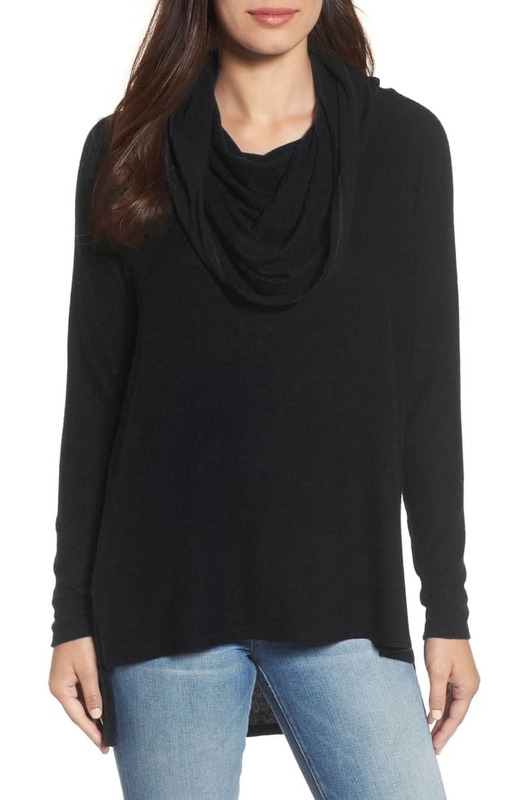 A convertible tunic sweater you can wear as a cowlneck top OR as an off-the-shoulder top. Customizable fashion? THE CROWD GOES WILD. 20. Velvet gloves with touchscreen-compatible fingertips, meaning you won't have to stop Instagram scrolling when it's extremely nippy outside. 21. A velour miniskirt you can wear with tights, booties, and a black bodysuit for a look that is significantly more trendy than you usually are. With all due respect. 22. 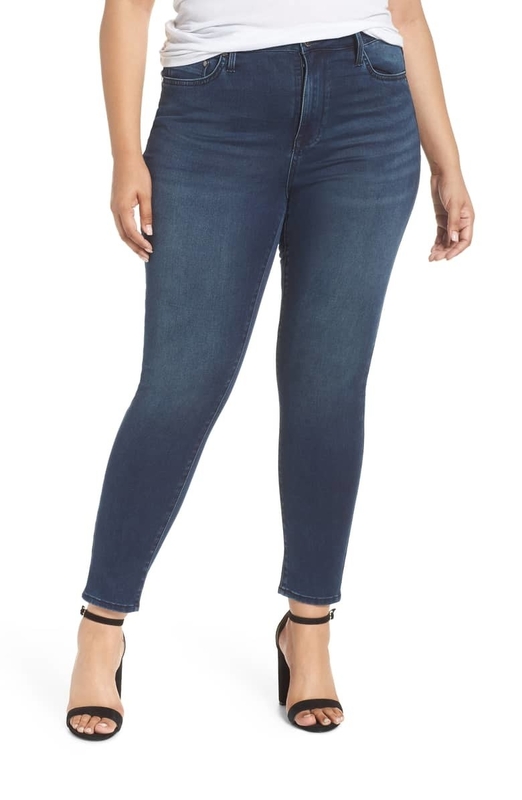 High-waisted skinny jeans that cut just at the ankle, meaning they won't bunch up and look awkward with your low-top sneakers. 23. A belted blazer that has just changed my life. Surprise, mom! I'm a fashion blogger now. Please subscribe to my channel. 24. 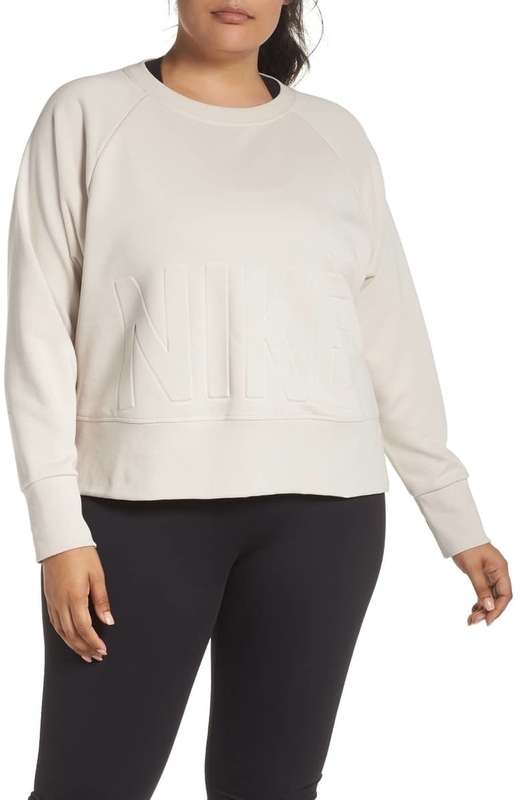 A cropped pullover made from a sweat-wicking material AKA you won't feel like you're soaking in your own sweat whenever you go for a jog. 26. 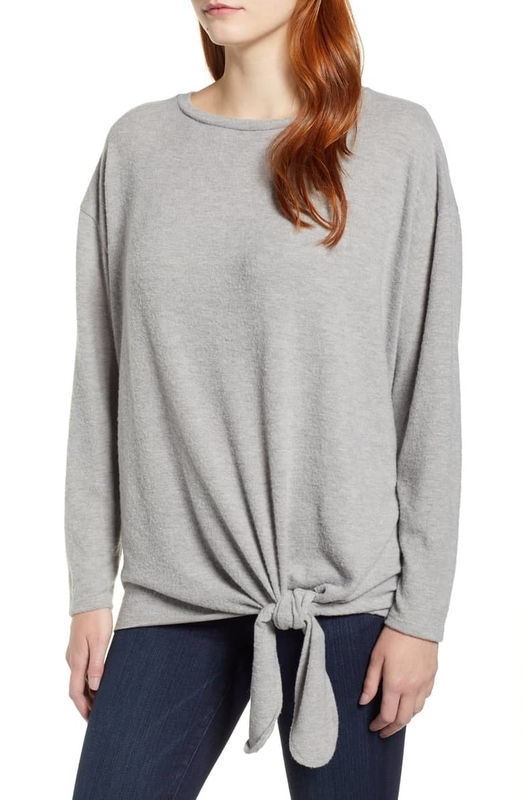 A tie-front sweatshirt your siblings will likely want to borrow. And guess what? You'll never get it back. My advice is to hide this in the back of your underwear drawer so your sister can't get her filthy paws on it. Can you tell I have younger siblings? 27. An oversized denim jacket that will never go out of style. This versatile thing will be trendy for the next **peers into crystal ball** 900 years! 28. Open-toe mules designed with a block heel that will give you some added height without feeling like torture devices. 29. 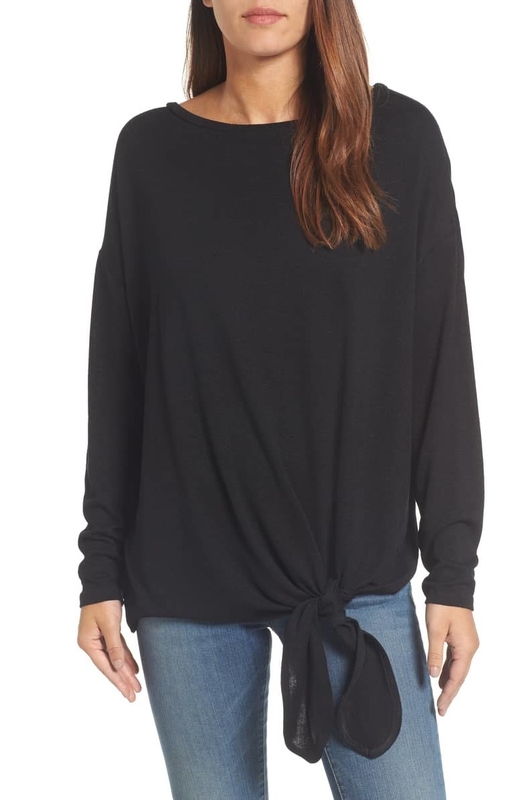 A sweatshirt dress that acts as a ~slightly more stylish~ version of your favorite drawstring pullover. 30. A foldover crossbody bag large enough to house all of your essentials, but small enough to not feel as if you're lugging around a duffel bag. 31. A 100% cotton graphic tee complete with red "FANCY PANTS" embroidery. Pretty darn fancy, non?